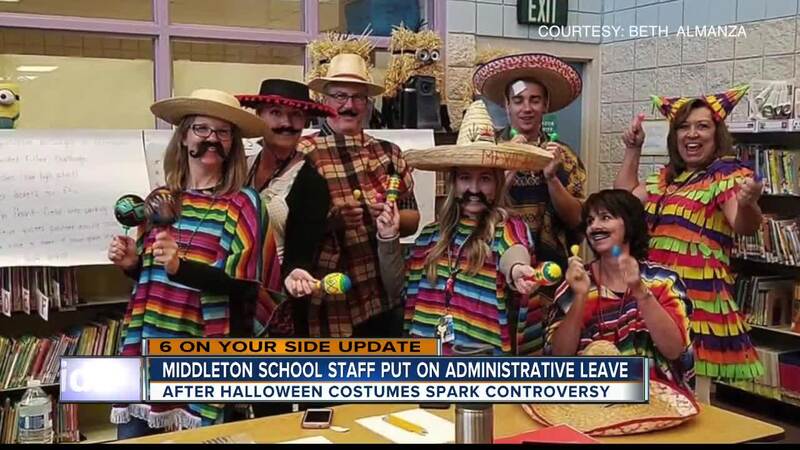 In less than 24 hours, thousands of people have signed an online petition supporting the teachers and staff at a Middleton elementary school who wore costumes on Halloween that many parents and Treasure Valley residents have found offensive and even racist. 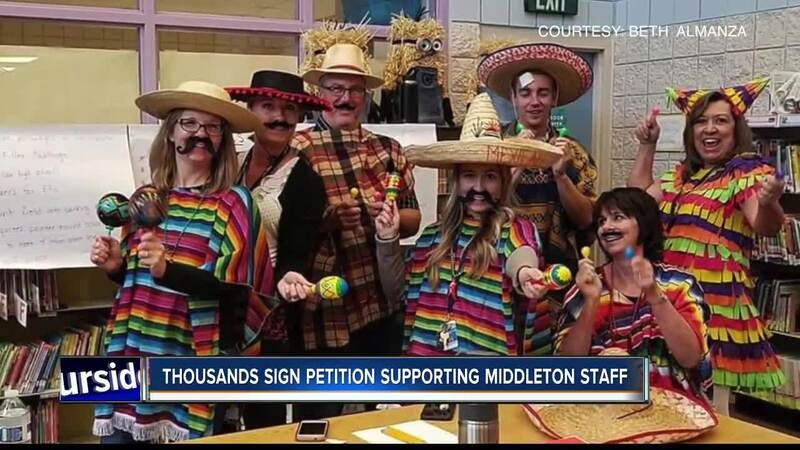 In less than 24 hours, more than 9,000 people have signed an online petition supporting the teachers and staff at a Middleton elementary school who wore costumes on Halloween that many parents and Treasure Valley residents have found offensive and even racist. The group of employees dressed as a border wall with the slogan "Make America Great Again" and a group of Mexicans wearing ponchos and sombreros. The employees involved were placed on administrative leave Saturday at a special school board meeting, but community members are now rallying around those teachers in an effort to protect their jobs. The petition is seeing steady support online. A separate online petition , condemning the costumes and demanding a transformed school environment, is also seeing support online. That petition has more than 8,000 signatures. The Middleton School District says there will be an all-district staff meeting for cultural sensitivity training this Wednesday, Nov. 7th. They say these kinds of training exercises "will continue throughout this school year and at the start of each school year moving forward," according to the district's press release.